The solemn opening ceremony of the high fountains season in Peterhof will take place on May 18, 2019. You have a chance to experience a very unusual way to get to the celebration which even residents have never used as such a tour will be made for the first time. A special steam train trip will be organized to take visitors from St. Petersburg to Peterhof and back after the ceremony. A few excursions (in Russian) are included into the tour package. As we reported, technically Peterhof’s fountains will be launched in late April 2019, with an official opening ceremony being scheduled for May 18. For the first time in modern history (we just don’t know if such a trip has ever been made in the past), a steam train will take passengers from St. Petersburg to Peterhof to get them to the ceremony and then back. It will definitely be the first time in history when using railway for going to see the fountains of Peterhof makes sense. 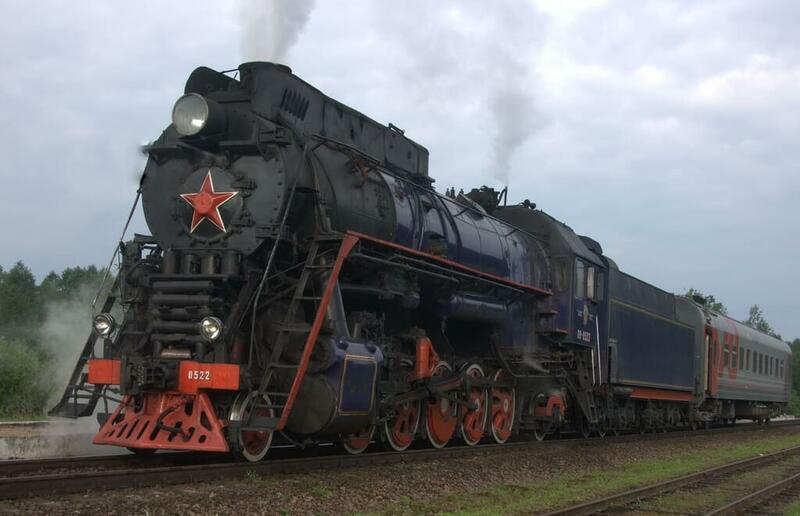 The operating company has more than 15 steam locomotives in St. Petersburg, all of which are kept in proper working order and used in weekend tours to picturesque suburbs, including Pushkin (Tsarskoe Selo) or Gatchina and for doing other jobs. Most of them were manufactured in the middle of the XXth century. For railway fans we note that it’s unfortunately impossible to know in advance the type of a loco that will be pulling cars to the destination. This information is typically available in the morning of a tour day. Cars are modern, filled with all the amenities needed for a comfortable journey, including air conditioning, easy chairs (in the photo below) and entertainments for kids. You will be also served snacks with tea. 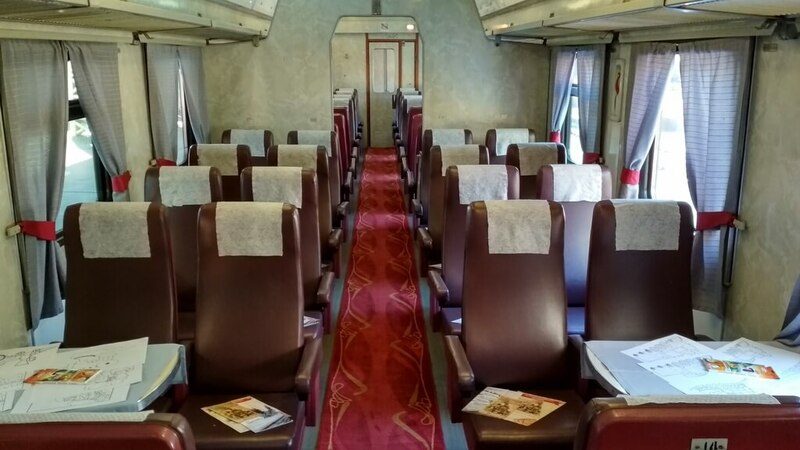 Having a cup of tea on board is a kind of a ritual for many Russian railway travelers. In short, the whole trip from the start from the Baltiysky vokzal railway station to getting back to this station will take about 7.5 hours. You will visit the park of Alexandria and the Lower Park of Peterhof, where the celebration of the start of the fountains season will be held. All the activities, including excursions around Alexandria and the Lower Park will be in Russian, though for groups tours in English or any other language can be arranged upon special request. Tickets to the parks and the fountains celebration are included into the price. The best way to book the steam tour is via the online form below. Use the Google Translator to translate the page or drop us a line so that we guide you through the process. In case you are going to Peterhof on your own, read our post about how to get to Peterhof.